These changing times invite us to navigate with more personal balance, coherence and heart-based connection with each other. Collectively, we are experiencing the desire to raise the vibration of our consciousness.This consciousness, coherence and heart-based connection can help shift humanity’s energies from separation to cooperation and lead us to higher solutions to our global problems. And the best part: Science is showing us we have all the resources within us to effect radical change. 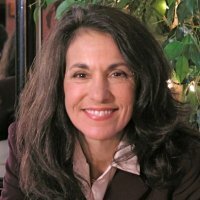 Deborah Rozman, Ph.D. is President and CEO of HeartMath Inc. She is a behavioral psychologist and helped develop HeartMath's workshop trainer, health professional and coach/mentor certification programs to facilitate creating a more resilient, coherent and heart based world at home, at work, with clients and patients. The training and certification programs teach scientifically validated techniques for developing emotional self-regulation skills and internal energy management for improved health and wellbeing, building personal resilience and coherence, and enhancing creativity and innovation. HeartMath has also developed the award winning emWave and Inner Balance HRV coherence feedback technology to help individuals and teams achieve heart-brain synchronization for team building and leadership training, improving decision-making and performance. Deborah Rozman is a key spokesperson for the HeartMath system, giving media interviews and keynote addresses throughout the world on how heart rate variability coherence training can accelerate personal growth and expand consciousness. She has appeared in documentary films, numerous telesummits, and hosted webinars with Dr. Daniel Amen, author of Change your Brain, Change your Life who wrote forward to HeartMath’s Brain Fitness Program, and with trauma specialist Dr. Bessel van der Kelk on healing trauma with heart rate variability training. She is a member of the Transformational Leadership Council and is on the Advisory Board of the Transformative Technology Lab. She enjoys hiking in the redwood forest where she lives, tending her rose garden of 40 vintage roses, and exploring fun new apps.